In the summer of 2011, 20 year-old Melake Getabecha visited the Rocky Mountain Arsenal National Wildlife Refuge for the first time. 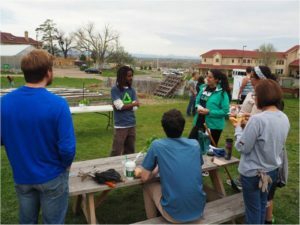 He, along with nine other college students, were tasked with spending their first day on the Groundwork Denver Green Corps team removing invasive weeds from the arsenal’s New Mexico Locust thickets. With a look of discomfort in his eyes, he quietly introduced himself to the group he would eventually spend his summer with. 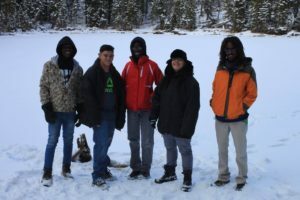 Since that day, Melake has held over five different positions at Groundwork Denver, including Youth, Land, and Water Program Manager and Youth Team Supervisor. As Melake takes on his biggest transition yet to become Youth Program Director, he said he can’t help but reflect on the lessons he’s already learned while working for Groundwork Denver and how he aims to use those lessons to further advance the organization’s Youth program. “I have a deep understanding of the impact the youth program can have and how it develops the next generation of environmental and community stewards. I know this because the youth program influenced my educational pursuits, and professional, and personal development,” Melake said. “In my three summers working as a youth employee and four years working as a supervisor, I have seen myself, my peers, and my youth employees grow in our understanding and interest in the community and the environment. Through this program, I’ve learned how to work collaboratively with partners, find projects that have an impact on our surroundings, and help youth develop as professionals and leaders. 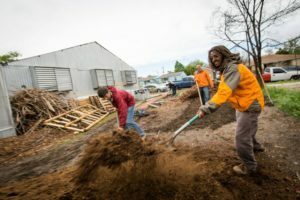 I consider it a privilege to share and improve upon this program, and all the benefits it offers, with the next generation of Groundwork Denver youth,” he continued. Not only is Melake focused on advancing the Youth program, he is also eager to uplift the voices of the youth who currently make up the program and offer each a space to find and maintain lasting relationships. “For four years, I have been administering and analyzing youth surveys and youth have consistently mentioned the relationships they built as their most valuable takeaway. This is often followed by helping their community and environment, but their responses emphasize the importance of preserving and building space and programming for youth to interact, socialize, and grow friendships,” Melake said. “If we hope to inspire a new generation of environmental and community stewards, we must create a culture around this work that is inviting to all, fun, stimulating, and ripe for building friendships,” he continued. It is Melake’s passion and devotion to youth development that led Groundwork Denver Executive Director, Cindy Chang, to select him as the organization’s new Youth Program Director. Cindy said she is confident Melake will not only improve the already strong Youth program, but he is also the best candidate to support and mentor the youth Groundwork Denver serve. “Melake has proven his commitment and passion to the mission of Groundwork Denver. He has grown personally and professionally in the organization and has the respect of our team, community, and most importantly, our youth,” Cindy said. Green Team member, Elias Hernandez, echoes Cindy’s remarks, as he also has been inspired by the devotion Melake has poured into Groundwork Denver’s Youth program. “I believe Melake is the kind of leader who is really dedicated to his work and team. His enthusiasm towards this nonprofit is truly reflected in the work he does every day and in his approach to helping the environment. From Melake, I have learned dedication to what you are doing is the most important key to success,” Elias said. Though Melake has spent most of his adulthood tackling environmental issues, taking part in fun neighborhood projects, and learning about himself and the Denver community alongside the Groundwork Denver staff, he said the youth are what has developed him most. In this new position, he looks forward to continuing to learn from and help cultivate the Green Team members. “Anything can be fun and I’ve done a lot of fun projects with youth but working with them is much more valuable and impactful than doing something fun. 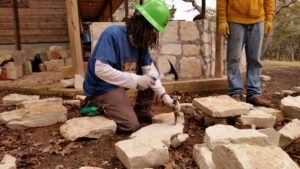 The tangible results I see in the youth’s lives, as well as the results we’re able to see after completing a project, has helped shape my development more than anything else I’ve done at Groundwork,” said Melake. “It’s grown me as an individual. I was a pretty shy and reserved person and young people challenged me to be more than that. They challenge me by keeping me creative because different youth see the experiences through a different lens and my task is to keep that lens positive and useful to help them develop,” he continued.